Most people tend to view the world around them in terms of their life span. This is a short-sighted view and keeps people from seeing the bigger picture. In the first week installment we go back to Genesis and look at the mandate that is given in the very beginning for human beings to bring forth the glory of God in the earth. This is not just in the physical environment, but in the cultural realm including: arts, science, history, civil government and more. Author and Cultural Thought Leader, Os Guinness makes this remark about the observable patterns of history. This lesson lays out the building blocks for understanding how a healthy society functions. 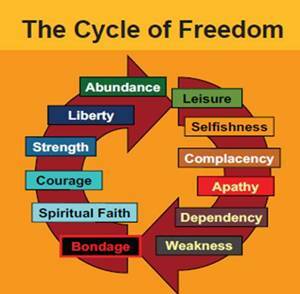 The Four Keys are how God dispenses a certain set of responsibilities to four entities of a healthy society – the individual, the family, the church, and civil government. 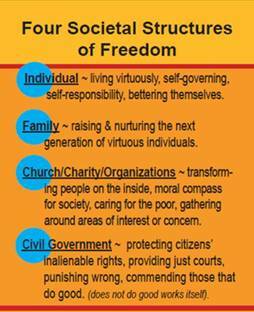 When these four entities are fulfilling the responsibilities designated to their sphere, society prospers. When these four entities fail in their areas of responsibility, or even worse when one of the entities usurps (unlawfully takes away) the responsibilities of areas it is not designed to be in charge of, society decays. 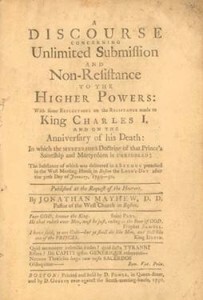 These ancient truths are contained in the scriptures and had lied dormant for centuries until they were rediscovered during the 15th and 16th Centuries by the Reformers. 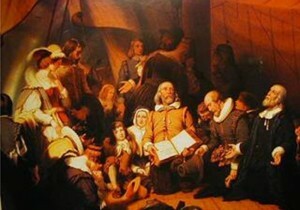 They were put into partial practice by the Pilgrims in England and Holland and then eventually transported here to America in 1620. 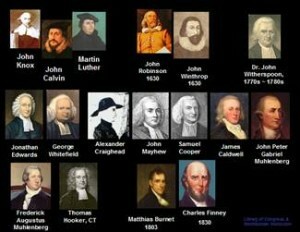 From their, they grew and developed over 150 years until they were culminated in the Declaration of Independence and the US Constitution. The Pilgrim Story is an absolutely amazing story of faith, courage, perseverance and the Providential hand of God. It is no wonder that their story has been a central part of American History and is key to understanding the American Experiment. The Founding Fathers called the early Pilgrims and Puritans the Forefathers – those who preceded them and brought with them the Keys to a Healthy Society and began to put them into practice on the American Continent. Their faith and God’s Providences are everywhere evident in their story and in their principles. Today in public schools, universities, and in the mainstream media their story is either completely ignored, censored of every element of faith, or re-written and even besmirched to fit the worldview of modern politically correct historians. The details of their story are so important to understand the foundations that were being laid 175 years before the US Constitutional System was finally consummated. These letters and sermons outline the concepts of what makes a healthy society. Unknown to 99% of the population of the United States, the real spark and unifying force of the American Revolution came from church pulpit for 25 years before the Declaration of Independence. 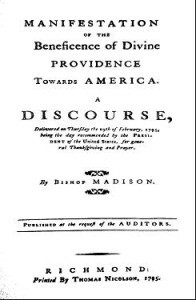 Week after week, month after month, and year after year, the ideas, concepts, and biblical principles of spiritual and civil liberty found there way into the sermons and then into the ears and minds of the citizens of the colonies. Here are but a few examples of these now unknown men of faith that God used to establish American Independence. 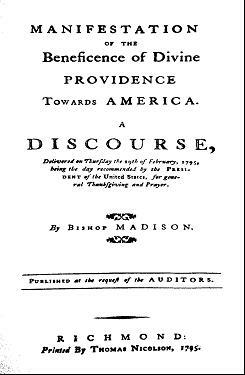 This sermon is called the "Morning Gun of the American Revolution" it was published and had a huge impact for 26 years up to 1776. The pastor, Jonathan Mayhew was 29 years old when he preached it. The Declaration of Independence is unique in all of the world. No other country has a document quiet like it. It is the culmination of almost two centuries of biblical thought applied to the nature of man, God ordained rights, and the purpose of government. 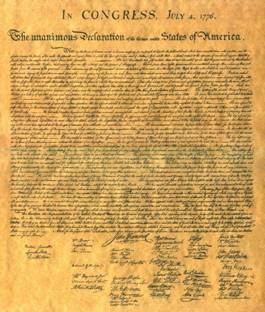 Citizens of the United States today have an emotional feeling toward the Declaration but few have read and studied it. In fact it is safe to say that over 90% of the American public have little understanding of the main principles within it. As you will learn in this series, the Declaration of Independence serves the role as our national charter, outlining the God ordained liberties that are granted by God to every human being and stating that the purpose of government is to secure and protect these rights. Additionally, you will find that the Declaration and Constitution are designed to work together. They are not isolated and separate. The Declaration articulates our national philosophy and purpose and the Constitution serves the Declaration by putting in place a structure that serves the principles of the Declaration. You will quickly see that the secularists statement that “the Constitution does not reference God and therefore the United States is a secular nation” is a “red herring” argument out of either ignorance or malice.. The fact is that the Declaration of Independence mentions God four times and since the Constitution and Declaration can only be properly understood when viewed together the lack of God’s name in the Constitution is irrelevant. Finally, a more detailed study will in fact lead to the discovery that the Declaration of Independence actually makes 25 declarations about personal, civic, and political life. When the phrase, “American Exceptionalism” is spoken about, this is a key aspect of what that phrase means. That is, the Declaration of Independence is the “exception”. No other country has a document like this one. This series will be life changing as you gain a true appreciation for this amazing document. “I have never had a feeling politically that did not spring from the sentiments embodied in the Declaration of Independence”. As Lincoln reflected on the relationship of the Declaration of Independence to the Constitution, he was drawn to a scripture passage in the Old Testament. As he meditated on this passage, he saw how this clearly expressed the connection between the Declaration of Independence and the U.S. Constitution. The very first thing that George Washington did after he took the oath of office in his Inaugural Address was to acknowledge Divine Providence. Pastor Bishop James Madison, cousin of future president James Madison said this. 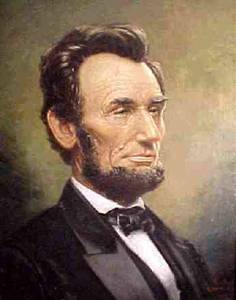 “There does not appear in history a nation whose people had more cause to be grateful to God. 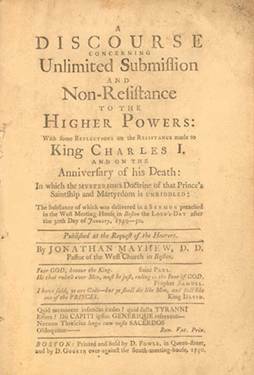 "Divine Providence appears as beneficial to servants of God, and as judgmental and corrective to those warring against God." These webinars on this page deal with both – the providential blessing and guidance of God when our nation and leaders were appealing to Him and the judgment and corrective action of God when our nation turns its back on him. Corrective providences / judgments may be a new area of consideration for you, but it is worth contemplating, because it is actually the loving action of God attempting to call a people back to himself.